Rediscover Your Health through Medical Innovation and Holistic Healing. Dr. Marcelo Welcomes You to Our Site! Dr. Marcelo is your functional medicine guide to wellness! She uses functional medicine to help you find the root cause of your illness. Functional medicine is personalized medicine that deals with underlying imbalances instead of focusing on surface level symptoms. Dr Marcelo will search for underlying triggers that are contributing to your illness through innovative, personalized lab testing as a supplement to your primary care physician. After evaluating your personal physiology, Dr Marcelo will tailor the treatment to your individual body. To help you regain wellness, she may rely on diet changes, supplements, lifestyle medications, or safe medications to help heal and restore balance and when possible use the least invasive option. She hopes to equip all patients with the courage and tools to take charge of their own health so that they can be happy and healthy. Medically Fit and Balanced is a functional medicine practice committed to diligently attending to each and every patient to find the root cause of their ailment and return them to their healthy life. No protocols: every treatment is tailor fit to the patient. The doctor will always treat the patient personally. Staff does not act as a surrogate between the doctor and the patient. Every patient is a part of the family. Functional medicine heals the root of the problem, not the symptoms. Modern medicine fails people every day. The 3rd leading cause of death in America is the very health care system that was supposed to help them. A large part of the issue is standardized protocols. Every patient is different, and cookie cutter treatment plans can produce disastrous results. Our Functional medicine practice aims to be the solution for those that modern medicine can’t help. We are not meant to replace a primary care physician, but act as a guiding supplement to identify the root problem and find new and more effective treatment options. Regenerative medicine harnesses the body's own healing ability to treat conditions previously thought untreatable. When our bodies are injured or diseased, the body has powerful defense mechanisms to heal and fight off invading sickness. Sometimes the body is inhibited in its ability to heal itself. Through the modern innovations of regenerative medicine, we give the body back its ability to heal itself. Thorough testing, personalized care, and cutting edge treatments. Click below to learn more about the services we provide and ailments we treat here at Medically Fit and Balanced! We love working with people who are committed to transforming their health. Helping individuals achieve their best life is our biggest reward, but we want to make sure our practice is a good match. The biggest wealth is health. 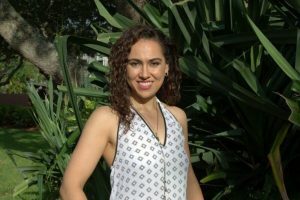 Medically Fit and Balanced is a Functional Medicine Practice founded by Dr Claudia Marcelo to provide a center of healing to those failed by traditional, outdated practices. Dr Marcelo is committed to working with each patient to individually tailor treatments to each unique patient.